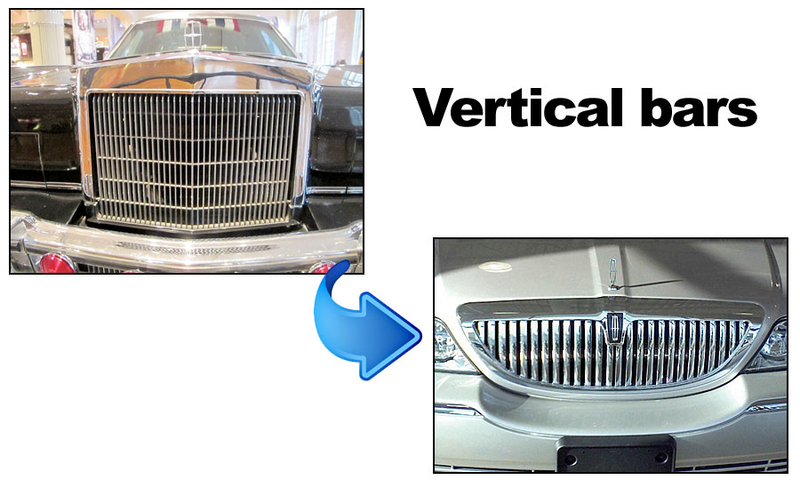 Lincoln designers have experimented with a variety of grille designs over the decades, some great, some polarizing. The classic 1956 Lincoln Mark II, left, shown at the Henry Ford Museum in Dearborn, Mich., features the eggcrate grille design. 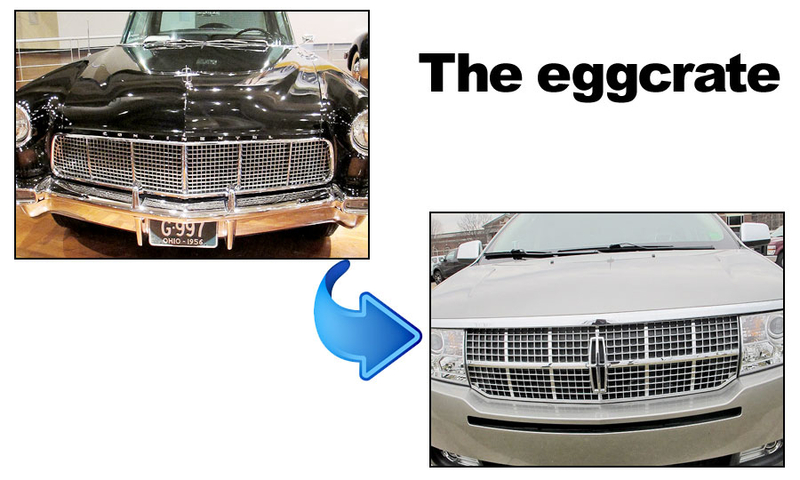 Lincoln has a history of reviving its grille styles, as when it brought back a variation of the eggcrate on the Lincoln MKX crossover, right, from 2007-10. 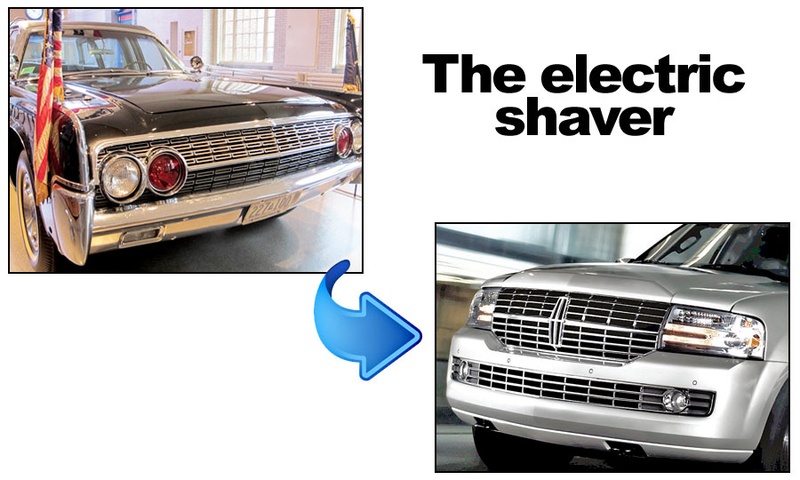 The 1961 Lincoln Continental, left, features the electric-shaver grille. Ford design chief J Mays says this may be the brand's best design ever. Shown here is the 1961 limousine in which President John F. Kennedy was riding when he was assassinated. The car is on display at the Henry Ford Museum. The 2012 Navigator, right, uses a hybrid of the electric-shaver and eggcrate styles. The Ronald Reagan presidential limousine, a 1972 Lincoln, left, shown at the Henry Ford Museum, sports a large, prominent radiator-style grille with vertical bars. Lincoln has used vertical grille bars throughout its history, as in the 2011 Town Car, right, the final year for Lincoln's big rear-wheel-drive sedan. The 1940 Zephyr Continental, left, created by Edsel Ford and E.T. 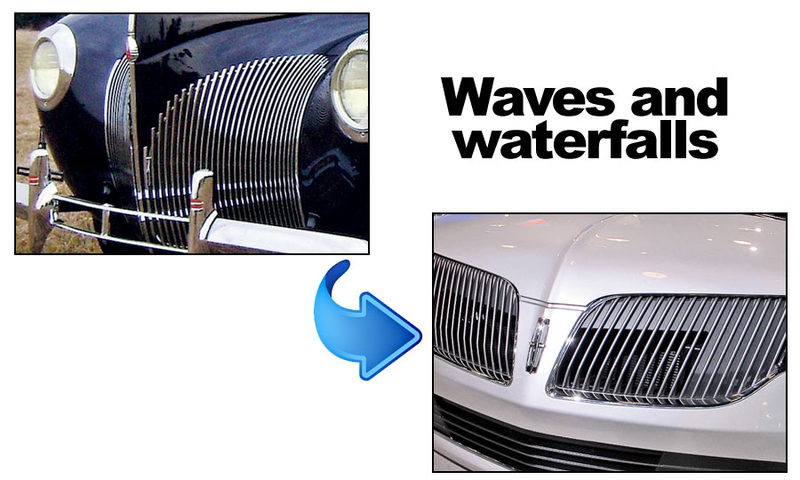 Gregorie, featured a split grille inspired by the inverted image of a ship's bow parting the waves. Architect Frank Lloyd Wright considered it “the most beautiful car in the world.” The 2013 MKS features a toned-down version of the so-called waterfall grille. Earlier versions of the waterfall polarized buyers. The 1938 Zephyr, left, featured a horizontal grille motif as Lincoln looked to make the Zephyr ever-more aerodynamic. 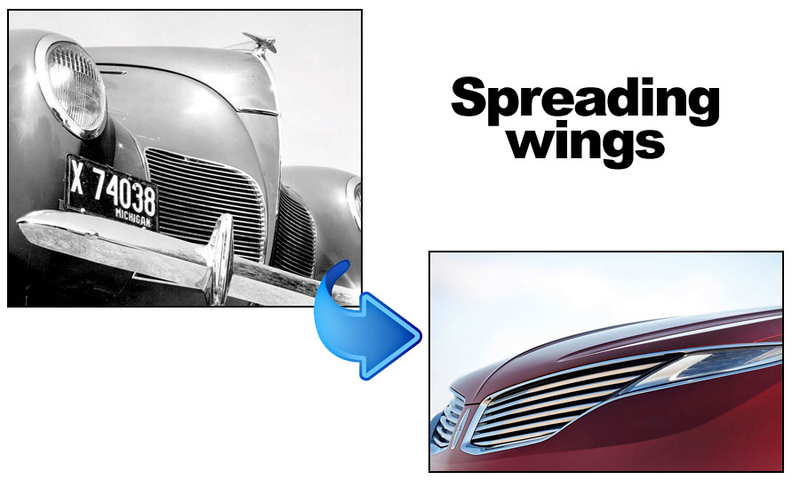 The '38 Zephyr was one of Max Wolff's inspirations for the 2013 MKZ's new horizontal grille design, meant to evoke an eagle's spread wings.